This past January, the Tennessee Board of Regents recognized Pamela J. Wright (’73), with its Chancellor’s Award for Excellence in Philanthropy. Wright made a $1.25 million commitment to MTSU in 2007 that established an endowed chair in entrepreneurship, allowing the University to attract a renowned teacher, researcher, and publisher in entrepreneurship. That person is Doug Tatum, a recognized expert on capital markets and entrepreneurial growth businesses who was chair and CEO of Tatum LLC for more than 17 years, growing the company into the largest executive services consulting firm in the U.S., with more than 1,000 employees in 30 offices. 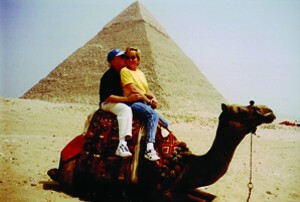 Wright opened her first travel agency in Nashville in 1981. Today, she boasts the largest travel agency in Tennessee and one of the largest in the U.S. Wright Travel operates 18 full-service branch locations in nine states stretching from Florida to Utah.